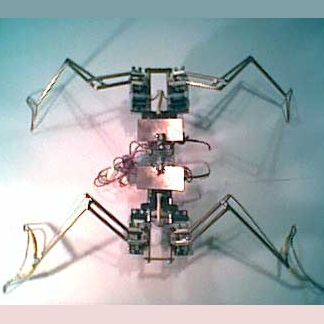 Articulated leg walker, explanation and links to closeup images. 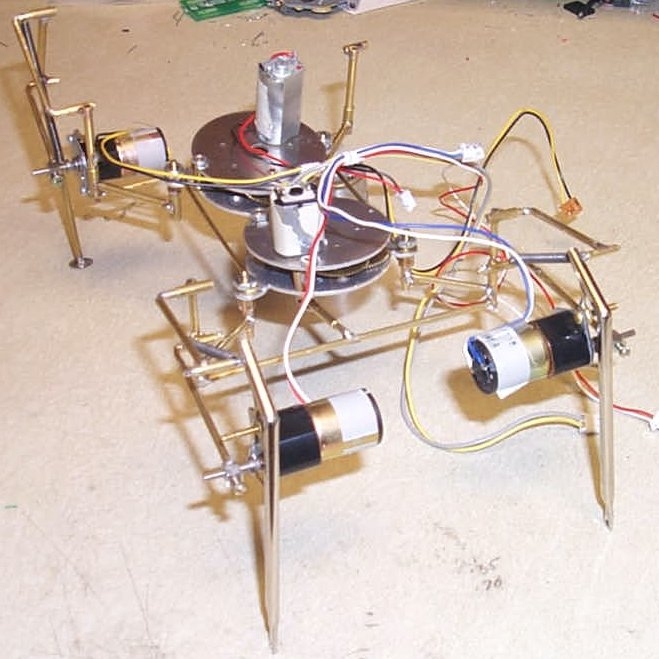 A unique design with two waist motors. A very detailed study.